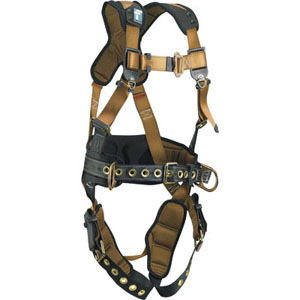 ComforTech construction-style, premium-grade full body harness with back and side D-rings for fall arrest and positioning. Built with the best materials available for extreme comfort, reduced fatigue and maximum safety and productivity. Three D-rings (back and side). 9-position, heavy-duty tongue buckle leg straps.